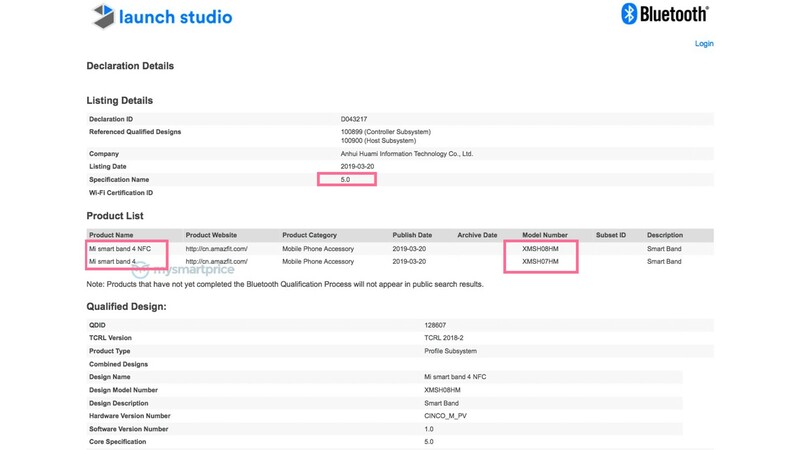 The listing of the Mi Band 4 reveals two models – XMSH07HM and XMSH08HM. Interestingly, the latter variant supports NFC in addition to Bluetooth 5.0. The current Mi Band 3 supports Bluetooth 4.2 low-energy and 5.0 protocol will bring in improved data transmission rates, efficient power consumption among other features.